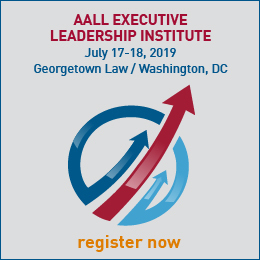 AALL’s Strategic Plan envisions that AALL and its members will be the recognized authority in all aspects of legal information. AALL’s Research Agenda seeks to make that vision a reality by stimulating a diverse range of scholarship related to and supportive of the profession of law librarianship. An essential underpinning of the Research Agenda is the assurance of intellectual freedom in Association-sponsored research. AALL recognizes the principle of intellectual freedom in its Government Relations Policy and its endorsement of the Library Bill of Rights. Intellectual freedom is a cornerstone of librarianship. It allows researchers to explore new areas of knowledge and reach conclusions and recommendations free from oversight and pre-determined results. The American Association of Law Libraries adheres to the principles of intellectual freedom and does not seek specific outcomes from any research produced under its auspices. 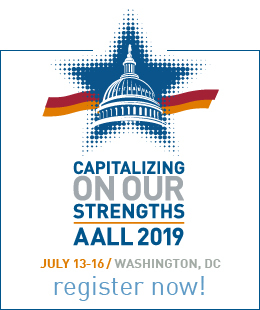 The core purpose of AALL identified in the AALL Strategic Plan is to advance the profession of law librarianship and support the professional growth of its members. The Strategic Plan’s long-term envisioned future is to make the association and its members the recognized authority in all aspects of legal information. How can AALL foster its members’ lifelong learning and intellectual growth? How can AALL and its member communities effectively advocate for equitable and permanent public access to legal information? What are the essential roles of law librarians within their organizations and in a democratic society? What common principles and goals do law librarians share regardless of their diverse work settings? How can AALL support diversity in law librarianship? How can AALL support the evolution of the concept of service in law librarianship? How can AALL’s Competencies of Law Librarianship be implemented effectively? How can AALL increase its members’ ability to anticipate and adapt to evolving professional environments? What are some different models of law librarians’ continuing status? How are such models similar and different from tenure and what are the implications for librarians, institutions, and the profession as a whole? How can librarians’ job duties and position descriptions be structured to foster creative problem solving and innovation? Changing needs of users have resulted in drastic changes in the operations of law libraries’ technical services departments. As platforms and technologies change, technical services will be expected to enable their libraries to provide relevant, engaged, and customized information content and services based on pervasive information infrastructures and computing environments that integrate people, organizations, processes, data, and technologies. The information technology revolution has affected the composition of law library collections, the structure of bibliographical data, the way patrons seek and access legal information, and the way materials are being processed by libraries and accessed by patrons. With their increasing digital nature, library collections are becoming part of the web infrastructure. Libraries must compete with search engines and websites for patrons’ research requirements. Libraries are expected to create exciting and user-friendly search interfaces and research portals to effectively deliver information to patrons. The catalog’s support of the library in its role as a gateway to information. Real time online connection between libraries’ holdings and corresponding curriculum courses. In light of the AALL Strategic Plan’s vision that AALL and its members will be the recognized authority in all aspects of legal information, the creation of bibliographies, legislative histories, indexes, and directories remain valuable forms of scholarship.